GroundSource can help you engage your community, broaden your networks, and build meaningful relationships. Here are a few ways our customers have used Groundsource. Some 70 percent of homes and apartments in Detroit aren't inspected for rental quality. Outlier Media uses GroundSource's webhooks to serve up housing records to the public via SMS. They're reimagining journalism as a direct public service. A proposal to expand light rail in Norfolk, Virginia sparked a contentious debate that spilled into the comments sections. The Virginian Pilot wanted a more civil discussion, so they printed their GroundSource phone number in the newspaper and posted it next to stories online to let journalist shape the conversation – not trolls. What people shared via SMS was far more reasoned and nuanced –and provided a clear picture of area residents' real feelings about light rail in their community. See what Virginians had to say here. How do you listen to a city? How might you build a local news service from the ground up? These are the questions at the heart of the Listening Post New Orleans, based at WWNO. Using GroundSource, they have built a 1,500+ community of sources who get twice-monthly news update and a chance to share their perspective on the pressing questions of the day. Their callouts get responses from every neighborhood in the city. The stories they share are broadcast on WWNO are posted online here. Investigative journalists know that the best information, the most well-kept secrets, are often hidden in plain sight – just waiting for someone to ask the right question of the right person at the right time. 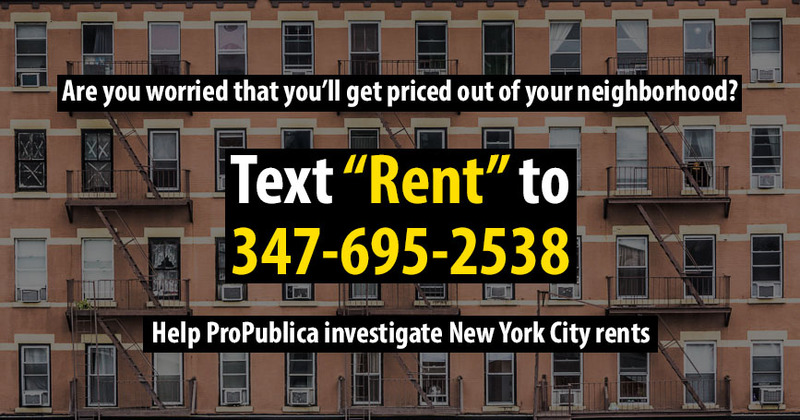 ProPublica is famous for its crowdsourcing efforts, and they used GroundSource to solicit stories from New Yorkers about the cost of housing and whether they were getting pushed out by landlords seeking higher rent. The team behind the national radio show 1A at WAMU in Washington, D.C. didn't want to follow the traditional call-in show framework, but they did want to build listening and engagement into their DNA. So, they use GroundSource to keep in touch with a texting club of 6,000+ sources, from whom they solicit questions and ideas for upcoming shows. They typically get several hundred responses back within minutes, giving the staff an indispensable pulse of their audience. More newsrooms are turning to live events as a way to build loyal and deeply engaged audiences and communities – and to make money. Events are most powerful when they can help build lasting connections. KPCC uses GroundSource to engage audiences, before during and after Unheard L.A., an event series to reveal the hidden layers of living in Los Angeles. Podcasts are booming, and as they do, podcasters are trying to figure out how to build engagement with audiences outside of just listening to the show. Reveal from The Center for Investigative Reporting is using GroundSource to build a kind of "mobile newsletter," collecting stories, keeping audiences in the know and even turning listeners into donors. Every community has its faultlines. Whether they're divisions based on race, income, class, geography or all of the above, more news organizations are looking to build bridges in their community. WDIV used GroundSource in their live coverage of the Thanksgiving Day Parade to ask what can be done to unite Detroiters. They expected to hear back from a few hundred people, but more than 1,200 texted in, creating the foundation for an ongoing conversation about bringing Detroiters together. See what they heard here. Gannett’s Poughkeepsie Journal wanted to chronicle the changing economy in their area. Their journalists used GroundSource to connect with freelancers and entrepreneurs in the gig economy to report on how the region supports them. What they heard back led to richly reported, original journalism. And they built a deeply engaged and loyal community in the process. Read more from the Poughkeepsie Journal here. Journalism is often done to communities instead of for them. Reporters parachute in, talk about the issues plaguing a community, tell a story and depart. This leaves distrust and disenchantment in their wake. KUNM wanted to tell the story of the effect of opioids on kids in Española, New Mexico – so they used GroundSource to connect with students at a local high school. The intimate, one-on-one conversations they were able to have led to a very different story of the community, building trust and a sense of shared ownership. Listen to your community and reach your public-powered potential.